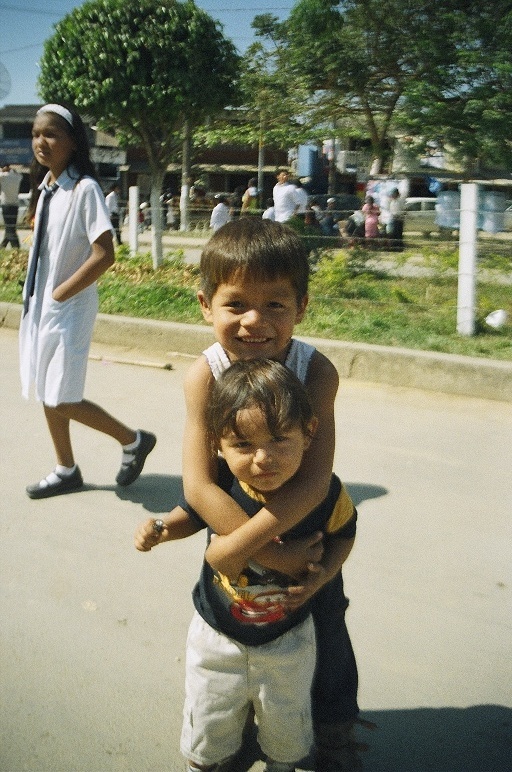 I’ve dug out this photo from my 2005 archives, my trip to Romania (click the image to expand). This was a beautifully hot, blue-skied day when my travel partner and I set out for the ‘waterfall of the Seven Stairs’, as recommended by the guy who owned the house we were staying in. We had planned to laze our way to what I thought was to be a little lake with a waterfall at ground level, which we could dangle our legs in and generally do very little in the May heat. Two hours later, several kilometres along a motorway walk and much sunburn damage done, we arrived at this verdant expanse, clearly a popular idyll with the locals. 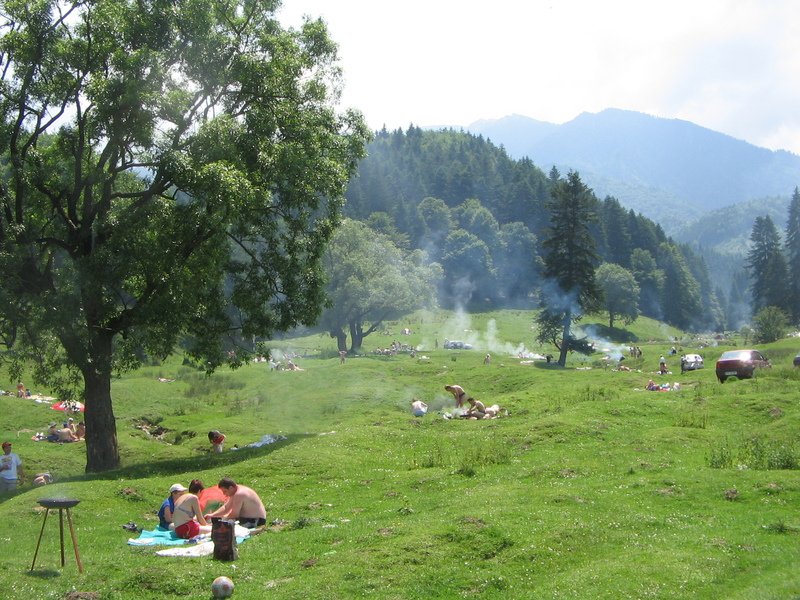 It seemed the whole town of Cluj had decided to picnic that day and that the only (unwritten, but universally understood) rule was to bare as much puffy, winter flesh as possible, build a little fire and grill some meat over it. What an impromptu paradise. We walked through and past the picnic-makers and into the woodlands, finding with relief a dense forest giving us shelter from the burning sun, but also noticing that in flip flops and with one bottle of water, were not prepared for what was to be an uphill hike. Los Tiempos: An end to the second-hand clothing market boom? This was my first piece for Los Tiempos and remains probably my proudest moment. Looking back I can’t recall how I managed to interview and write a newspaper feature in Spanish. This was the assignment that introduced me to what is now an all-consuming topic in my mind, and it showed me that I could grasp and accurately analyse the contemporary economic issues of a country I knew nothing about. It’s my feature on the legislation to make Bolivia’s trade in used clothing illegal, looking at what people thought of the ban and what might happen as a result (clue: in Bolivia, bringing a law in doesn’t mean something is going to stop). 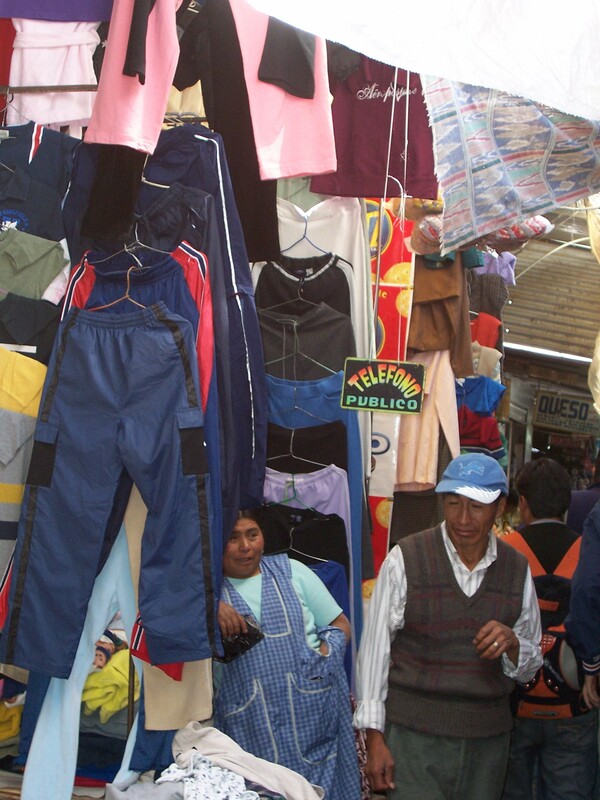 This morning, house-wives from all over Cochabamba – from campesinos, to working class mums, to well-married women of more means with fashion-conscious teenage children to satisfy – have both hands thrust into billowing stalls of imported second hand sweaters and pants up and down La Pampa market. These women have the same mission as mothers all over the world: to see that their families are dressed in as close to the best quality clothing they can afford. As two particularly eager ladies, one in an American-style sun visor, hold a smart blue polo shirt up to the light to inspect the handiwork on the seams, they know they won´t have to part with more than a couple of bolivianos if they want to buy it. But these particular women have made two interesting selections: a Fruit of the Loom sweater, manufactured in Korea under license by a well-known American label, and a pair of Everlast boxing pants, also a famous American brand, most probably manufactured in a third world country. But this will soon come to an end. This week sees the deadline for Morales´ 2006 supreme decree, stipulating that all importing of foreign used clothing will become illegal. Those selling these items have another ten months´grace to cease trading. But by next March, twenty years of burgeoning government-sponsored trade in imported used clothing will finish. Protagonists of the change – Bolivian clothing manufacturers – say it is the responsibility of Bolivia´s middle classes, those who can afford to choose between imported cast-offs and Bolivian-made clothing, to support the creation of a self-sufficient national industry by buying Bolivian from now on. Used clothing from abroad originally entered the country as charitable donations handled by religious groups. Pushed by demand from Bolivia´s poor, it became a business, and importing used clothing from other countries – commonly America – was later mandated by law to quell contraband and illegal imports. But ordinary Bolivians, rich and poor, and not convinced and many think this trade will simply move underground, not disappear. 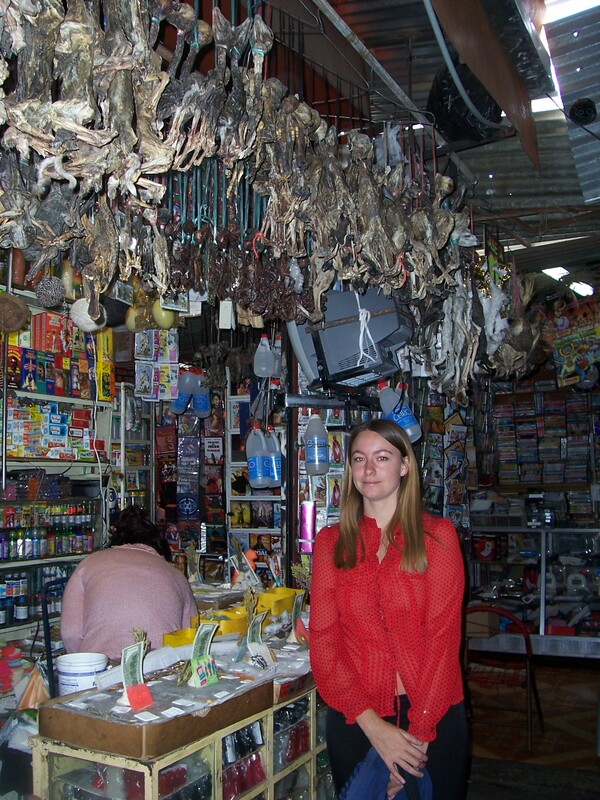 “I prefer these second hand clothes because Bolivian-made clothing, is not good quality and they all look the same. There isn´t a lot of variety to choose from,” says the La Pampa woman in the Yankee-style sun visor, without taking her eyes off the job. “A lot of the clothes I find here seem new, and even if they are slightly damaged, if you look carefully you can usually find something new with only a small problem that I can easily fix at home. “Hidden Haven” was the last article I wrote for Bolivian newspaper Los Tiempos when I spent two months as a reporter there in the summer of 2007. Puerto Villarroel is still home to some of my very fondest memories: I can’t wait to get back there. 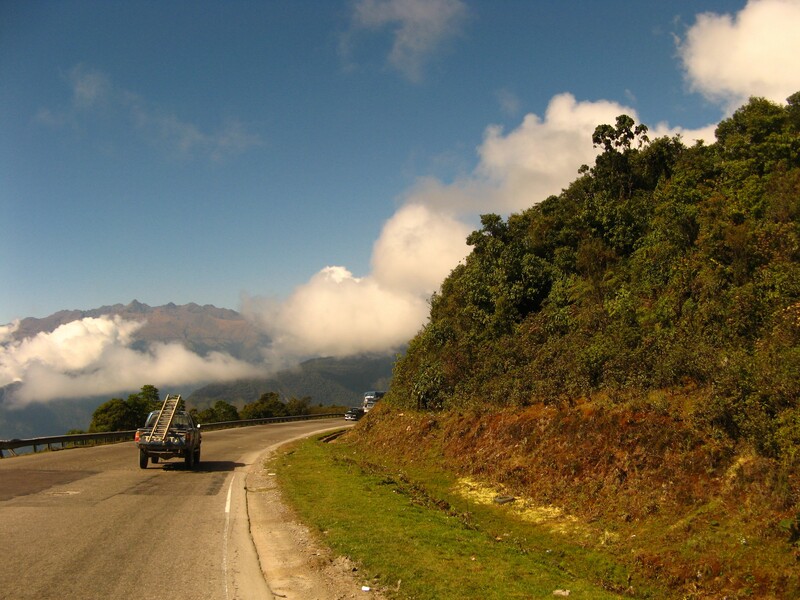 If you stay on the bus linking Cochabamba with Chapare´s most popular tourist destination, Villa Tunari, as far as Ivirgazama – then squeeze into a colectivo, you reach the end of the road, the banks of the river Ichilo, and Puerto Villarroel, a village of 200 people. Puerto has almost no tourist visitors even though its proximity to Villa Tunari makes an easy day trip – and it has none of the facilities Tunari has. But what it lacks in public toilets, hotels, restaurants and internet cafes, it makes up for in stunning tranquility and natural heritage, and it is this that makes it a more appealing place for those who seek an escape from civilisation. Puerto fits the image one expects of the rainforest. Traditional estiló camba punctuate lush jungle vegetation on the road to the village, and the river. The five-hour bus ride from Cochabamba to Ivirgazama through the Cordillera Tunari, past pine forests and lakes, later ascending into steamy jungle vegetation cradled by clouds, is an incredible introduction to Chaparé; travelling through neighbouring villages gives you a good idea of how different life is there. 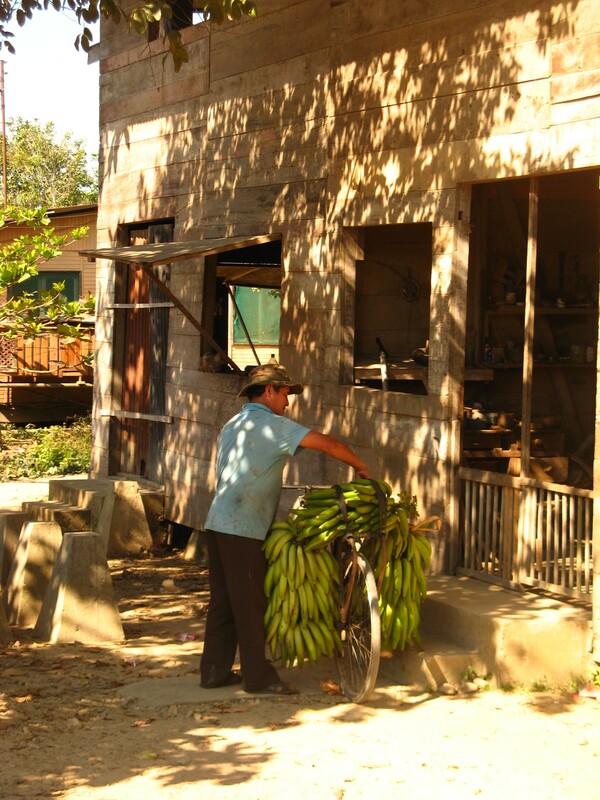 These villages, like most in Chapare, are financed by the coca trade – but Puerto´s comité civico of five representatives including Jorge Yale, their president, has decided to find an alternative income with the creation of eco-tourism in their little corner of paradise. But for a tourist who has fallen in love with Puerto for these reasons, Jorge´s plan could be a tragedy. The unique selling point that Puerto Villarroel has is this tranquillity. To imagine Puerto full of video camera-carrying tourists is sad. Jorge is aware of this and is keen to avoid over selling. Puerto could benefit from tourism but, aside from assistance from USAID, the town must do it alone. Abstaining from the coca trade has meant estrangement from other towns, while the alcaldia of Puerto works in Ivirgazama – a designated “red area” for the coca trade, though the number of shiny four-wheel drive cars with 2007 registration plates in Ivirgazama mark out real coca territory – so financial and moral support are not available. Half of the money earmarked for Puerto Villarroel is spent in Ivirgazama, Jorge says, and the other half is not enough to do much with. 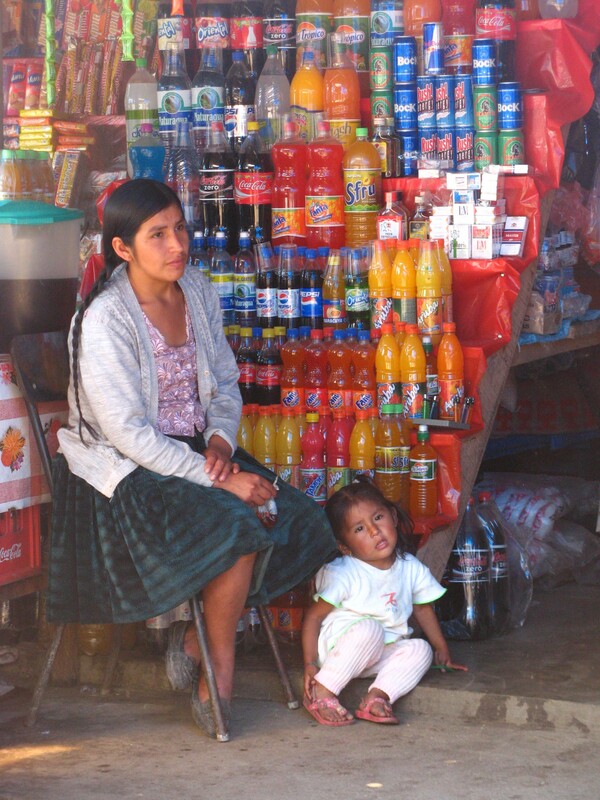 But Puerto is determined to bring the concept of sustainability, something new in Bolivia, to tourists in Chaparé. This trade is counter to Puerto´s eco-tourism plan. Cocaleros cut down areas of rainforest to extend coca and marihuana plantations in what is supposedly protected land belonging to indigenous populations like the Yuqui, Yuracaré and Trinitario. “The government does not realize that we can make money without cutting down trees,” says Yale. “Eco-tourism is a good alternative because our main resources here are nature and cultural heritage.” He adds that there are a lot of chemical by-products from cocaine production dumped into the rivers damaging the local eco-system and killing fish stocks. The comité civico wants to build basic infrastructure, including better streets, gardens, medical services, and better sanitation. There is a plan for families to rent one room from their homes to tourists, for a home-stay experience that will enable sustainable tourism. How to get there: Take a trufi or taxi directly to Ivirgazama, which should cost around 30-40 bolivianos, from the corner of Oquendo and Av. Republicá. They leave regularly throughout the day and take 3-5 hours. From Ivirgazama take a colectivo to Puerto Villarroel, which takes 40 minutes and costs under 5 bolivianos. Where to stay: There are three hostels -Sucre, Eco Amazonas, and Jasmin. You can walk to them from the main plaza. What to do: Relax! Have lunch at El Cliper – the tourist information centre that has an airy café attached – to sample the local fried fish. Take a walk on the hidden path along the river to the sandy beach: take a book and soak up the serenity of the jungle. Later, grab a table under the tin roof at La Rocola on the main plaza, order an ice-cold bottle of Taquiña, and listen to the jukebox. Then walk across the street where you can dance with the locals until the sun comes up. Trips from Puerto Villarroel: Villa Tunari for the national park, treks, and monkey reserve. Occasional cargo boats take passengers to Trinidad, taking five days.